Text "dfwhog" to 59925 to receive text messages about Chapter rides and events. 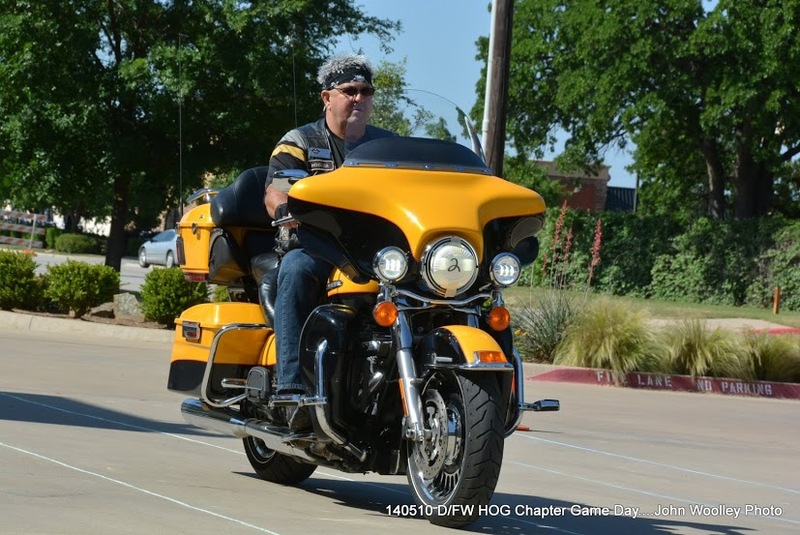 All activities and events are for active DFW H.O.G. Chapter members and their guests ONLY, unless otherwise stated. The QT is one block North and one block East of Texas Harley Davidson (NW Corner of Central Drive and L. Don Dodson Drive). Unless otherwise stated on the calendar. This provides a chance for a drink and restroom break before the ride. Our 2nd qtr. Chapter Challenge is on! Most miles from now until the end of June wins! To participate, take a CLEARLY LEGIBLE picture of your chapter card right next to your odometer, and text it to Steve Martin @ 817-891-5997, for a starting mileage reading. Winners will receive a $100 gift card to THD for 1st place, $75 gift card for 2nd, and a $50 gift card for 3rd. The counter has been reset. Let's get going and log those miles. See the service dept. At THD to get logged. Check out our Safety Page under "Riding Tips" for an MSF exercise in "Rider Perception". Version 1.9 of the Chapter Ride Guide is now available. Go to the Safety page for details and download. The "History Corner" has been added to this web site to provide historical information about DFW H.O.G. and Harley-Davidson. We hope you find it interesting and welcome any corrections and additions that you may have. The Ladies of Harley page explains LOH membership benefits. The Pride Patch program awards a "Pride Patch" to DFW HOG members for their participation in Chapter activities. The patch displays a bald eagle wearing a leather jacket with the word "PRIDE" across his chest. See the Member Incentives page for more information. Chapter Chatter Newsletter: The Chapter newsletter "Chapter Chatter" is published quarterly and is available online to current members only (Login to download your newsletter). Anyone may pick up a printed copy at Texas Harley-Davidson. 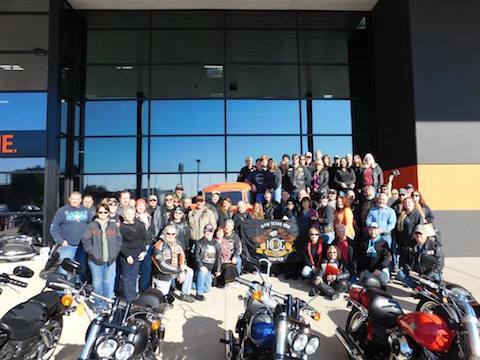 Submissions to the newsletter may be sent by email to the Newsletter Editor or in print at Texas Harley-Davidson. Ride Guide: The Ride Guide contains information that each member is expected to know and observe so that everyone can participate in safe and enjoyable group rides with the Chapter. It may be downloaded from the Safety page . 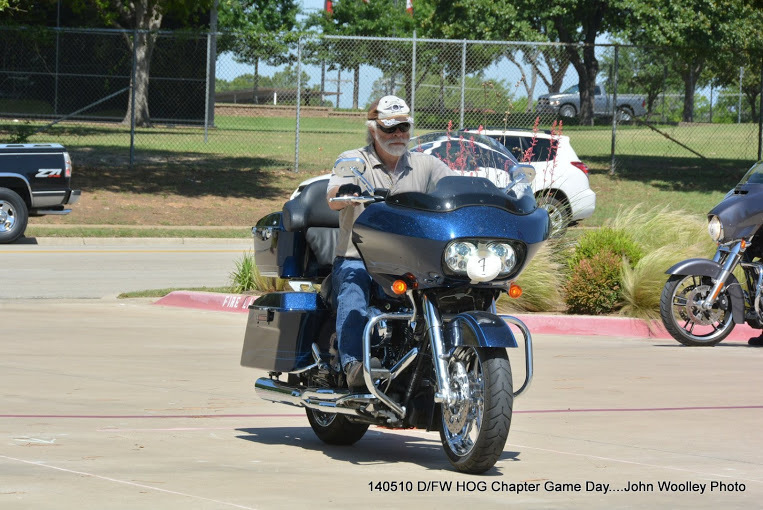 Chapter Membership Card: Don't forget to bring your DFW HOG Chapter membership card when attending all chapter functions (no Substitutions). You will be required to show it before each ride. Contact the Chapter Membership officer with questions about your membership or to get a card. 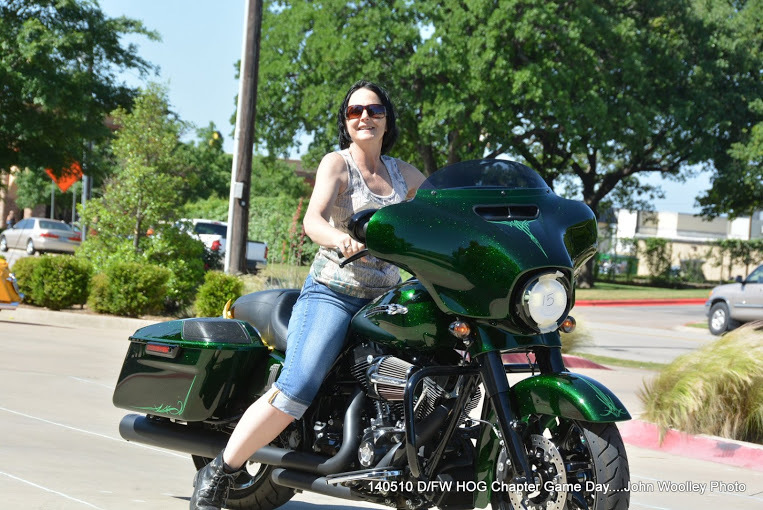 HOG Mileage Program: Don't forget to enroll in the H.O.G. Mileage Program and get pins, patches and medallions for the miles you ride. See your HOG Membership Manual for the rules. Enrollment forms are available at Texas Harley-Davidson (Take your bike because the VIN and mileage need to be verified). If you have a ride suggestion, submit it to the Activities officer. Be sure to include the name and location of the destination, your name and any comments you may have. Please keep in mind that the rides are scheduled several months in advance and the destinations are reviewed for suitability before being scheduled. Suitability requires that a destination have the ability to handle a large group and provide safe, adequate motorcycle parking. Other factors such as distance, road conditions, weather, time-of-day, day-of-week, and difficulty of ride are also considered. © Copyright 1999-2019 Bedford Chapter, Inc. All rights reserved. Links to external sites are intended as a service to users of this Web site. No endorsement of linked sites is expressed or implied. registered trademarks of Harley-Davidson Motor Company.